The project is being designed by BLTa with interiors by Krause Sawyer. 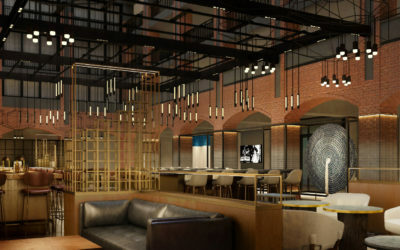 The Buccini/Pollin Group also recently performed a complete revitalization of the former Omni Hotel into the hip, modern Renaissance Philadelphia Downtown Hotel, a Marriott-affiliated project that delivered in March 2018. The future Philadelphia Marriott Old City (currently the Sheraton Society Hill) and the Renaissance Philadelphia Downtown are managed by PM Hotel Group, a leader in third-party hotel management, operating a diverse and growing portfolio of luxury, lifestyle, full and select-service hotels nationwide from New York to California.